Do you remember those Belgian Sugar Waffles that I made last year while Cassi was still living in Belgium? If not, you can click on the link and see some of her crazy adventures. 😉 Anyway, while she was back last summer, she wanted to see if they were anything like the real deal that she loved so much! The first thing that was different, her favorite waffles were stuffed with dark Belgian chocolate. These are the Chocolate Liege Waffles that we created…..
Well some of these photos were taken while she was here…with my old camera. Some of these pictures were taken today, and look much more appetizing!! 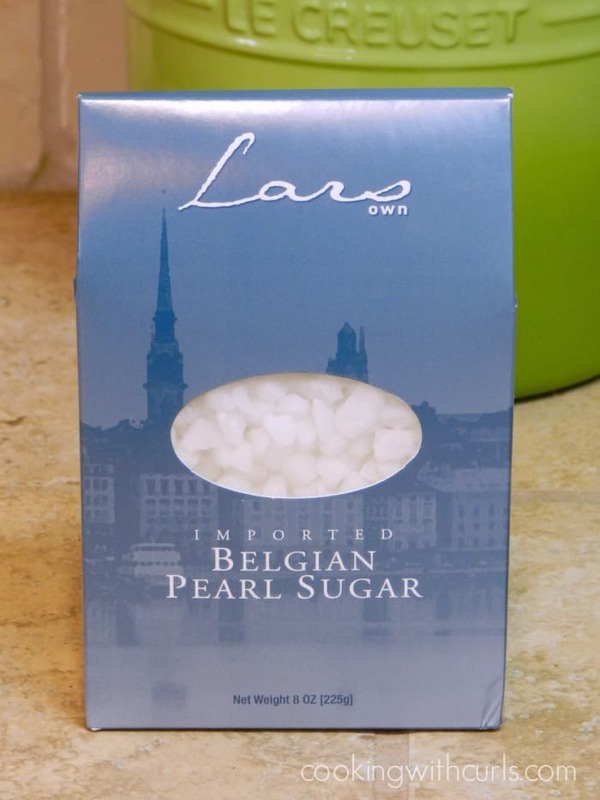 We used the same recipe that is printed on the back of the Lars Own Imported Belgian Pearl Sugar box, I just converted it from ounces to cups…..
and of course, we stuffed them with Godiva dark chocolate….. 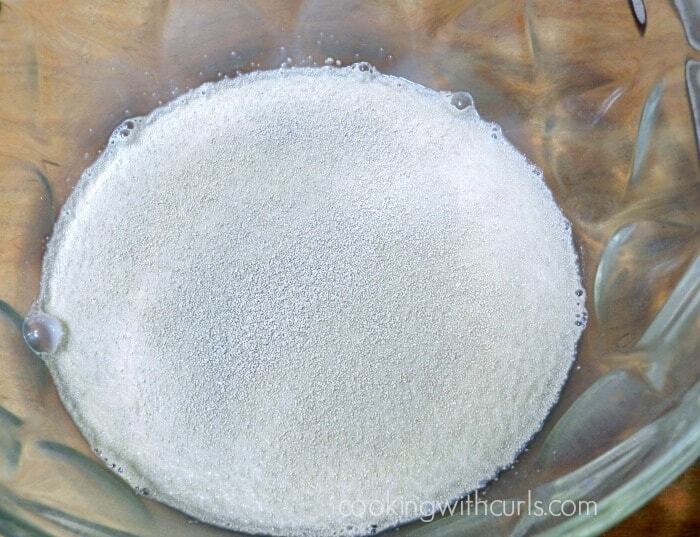 Pull out a large bowl, and combine the lukewarm milk with the yeast…..
Gently stir it together and let it sit for about 5 minutes to get bubbly. 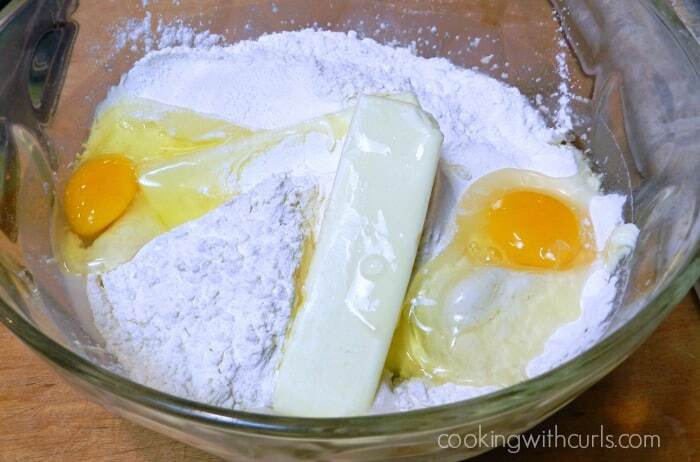 Now add the flour, salt, vanilla, eggs, and butter….. Beat it all together until combined. Cover the bowl and let it sit until doubled, about 30 minutes. 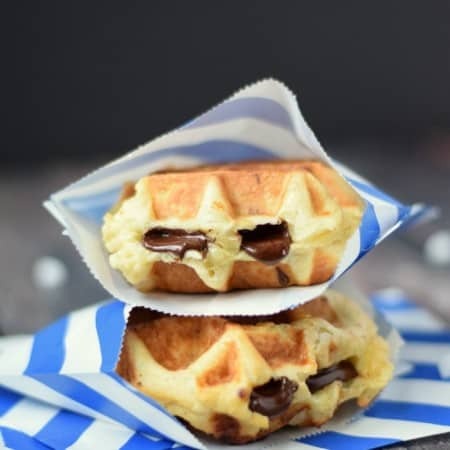 While the dough is rising, cut your chocolate squares into 3 strips and set aside…..
and heat your Belgian waffle maker. 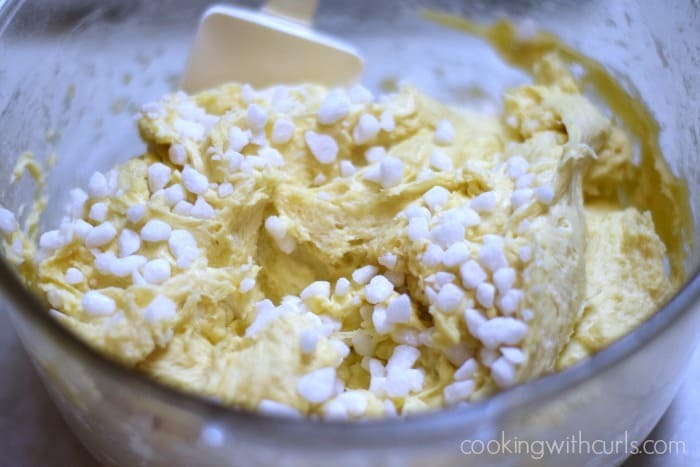 Once the dough is ready, stir in the Belgian pearl sugar…..
then scoop out 3 to 4 ounce portions of dough…..
and place them into each cavity of your waffle maker…..
Press the lid shut and cook until browned….. Very carefully lift them out with a fork or tongs and place on a wire cooling rack. Continue cooking additional waffles. 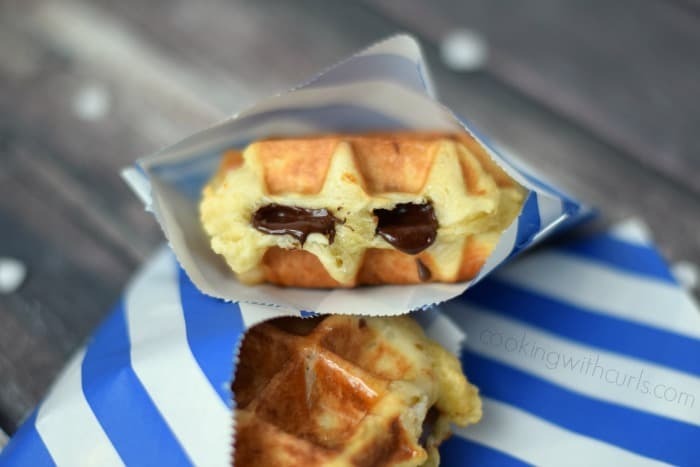 While the waffles are still hot, gently push 2 strips of chocolate into the center….. So let’s say you have a really hard time cutting the chocolate into strips…because the chocolate likes to break into little pieces. 😉 I put all of the little broken pieces into a bowl and melted the chocolate in the microwave, then drizzled it over some of the waffles instead of stuffing them….. Problem solved! If you are really adventurous, you could add some whipped cream. 🙂 Okay, one more for the road….. 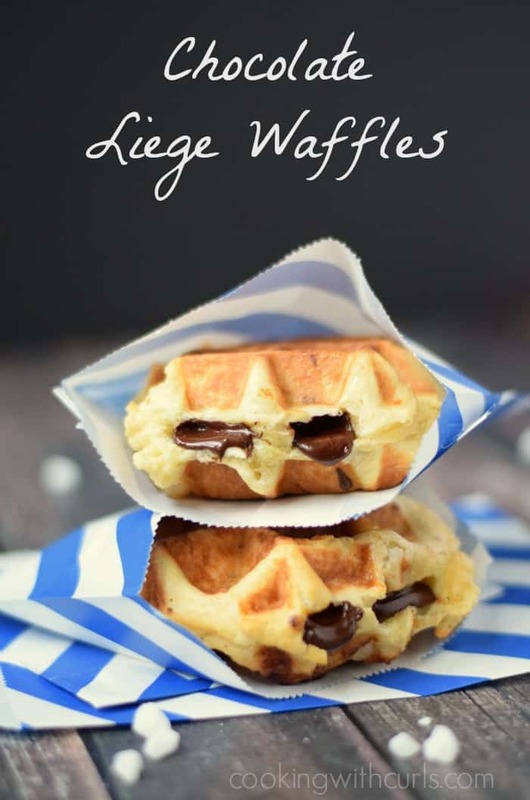 Traditional Chocolate Liege Waffles stuffed with dark Belgian chocolate! 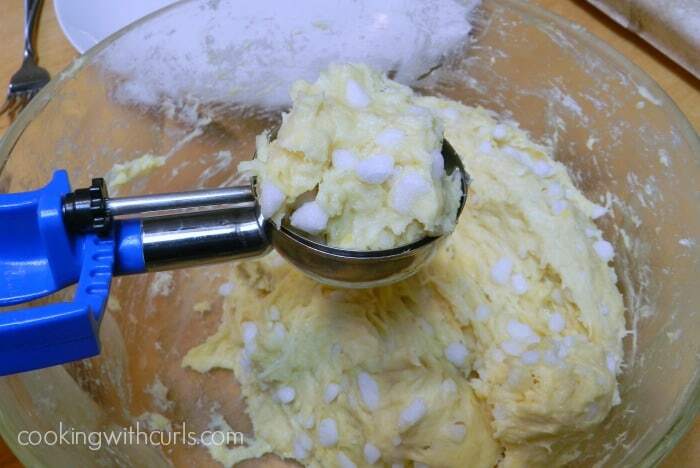 In a large bowl, add the lukewarm milk and yeast, stirring gently to mix. Set aside until bubbly, about five minutes. Cover and set aside until doubled, about 30 minutes. 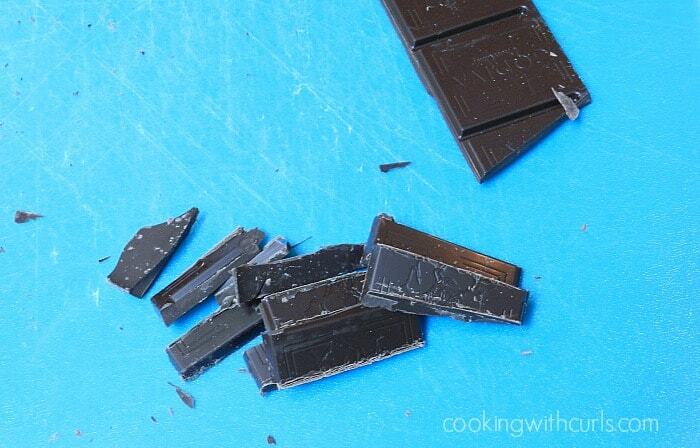 While dough is rising, cut dark chocolate squares into 3 strips. Set aside. 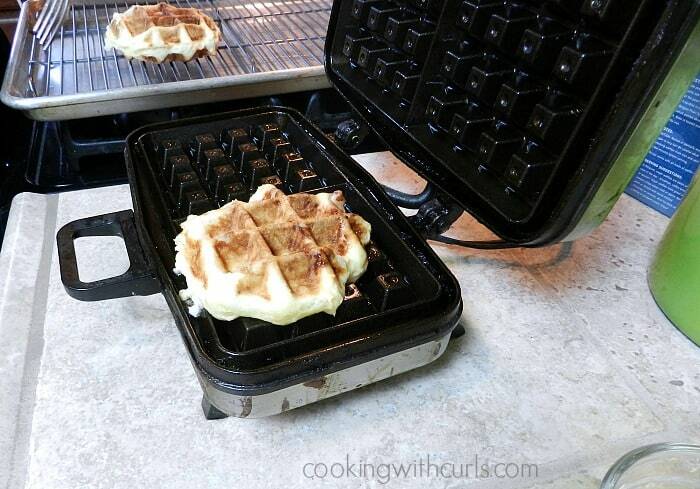 Heat a Belgian waffle maker, and when ready, add a 3 to 4 ounce scoop of dough to each cavity. 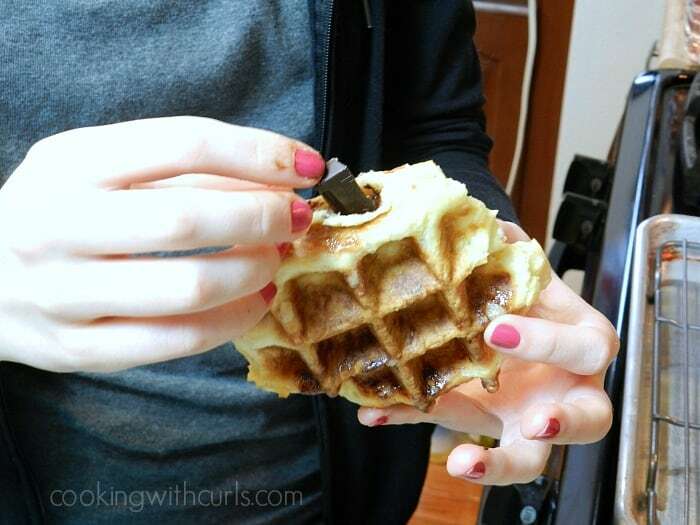 Cook until browned, and very carefully remove from your waffle maker. Place on a wire cooling rack, and continue cooking additional waffles. 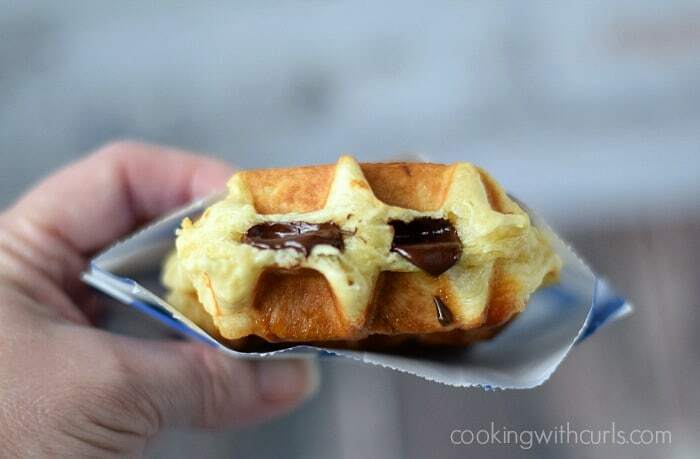 While waffles are still hot, gently push 2 strips of chocolate into the center of each waffle. If all of your chocolate squares break apart while cutting, place them in a small bowl and melt them in the microwave. Drizzle the melted chocolate over the waffles. Serve waffles warm or cold. You are killing me here, Lisa!! These look outstanding. Not sure I could stop if I made them. I’ve never even seen pearl sugar before…. I’m sure I would end up drizzling the chocolate, but that is so beautiful to look at the cut edge when you insert it like that. 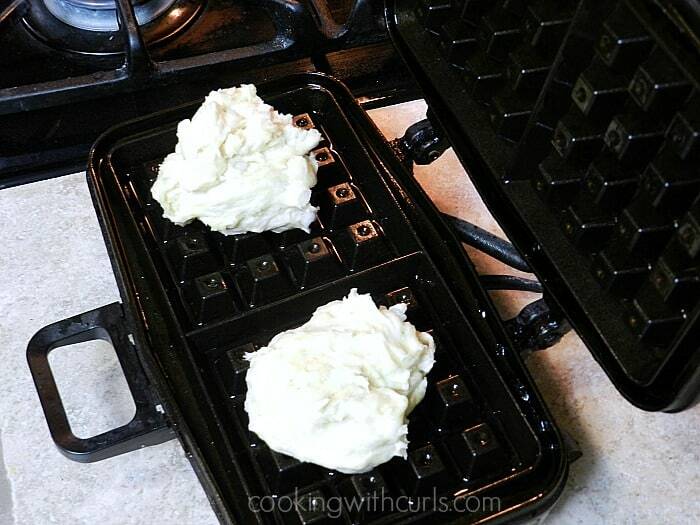 I don’t own a belgian waffle maker, though, so I’m thinking I can’t do this one. Honestly, if you could freeze these I think you could sell them in the grocery store! Holy Moly girl! These look fantastic!! Thank you Deb, they taste pretty fantastic too, LOL. These look just TOO good! Now I’m going to be thinking about them all night!!! I do remember those waffles and how I felt I had to have them, yet I did nothing about it! Thank you for the reminder, Lisa, the chocolatey reminder — and I’m pinning to remember better. I need some of that sugar! 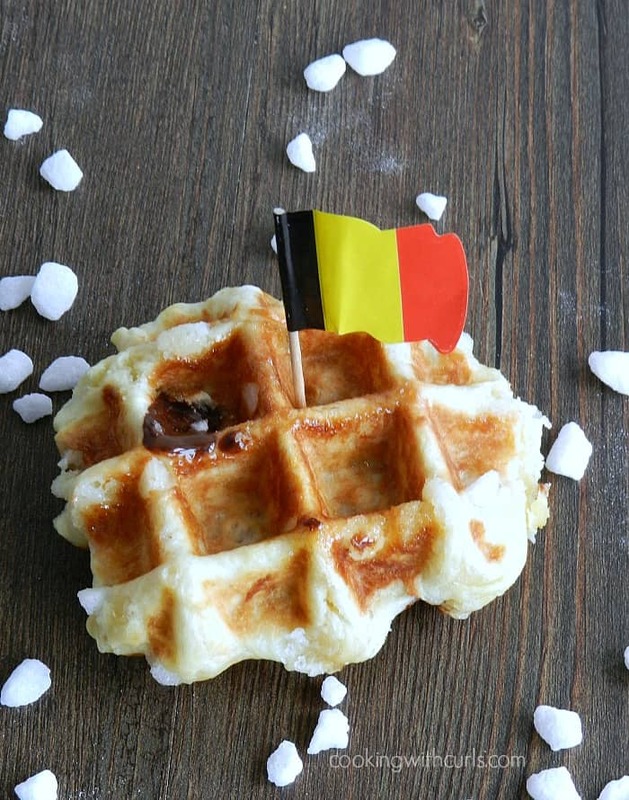 I visited Belgium a few years ago as part of my master’s program and discovered Liege waffles, which are so much better than what we think of as Belgian waffles. I have been meaning to order the sugar crystals and try to find a recipe. I’m so glad to have found your post! Thank you so much Andrea! I hope you get a chance to try them…soon. 🙂 You’re right, they really are so much better!! Where can I get the sugar pearls? These look amazing. I need to try these! That is the most beautifully delicious waffle I’ve ever seen. The pearl sugar is cool too. Yum, these look amazing, but I don’t know about handling the waffle as soon as it comes off the iron because the sugar is molten hot. I’ve made the mistake a few times of not using a fork and I burned my fingers. I think I’d rather make a chocolate ganache and dip one side of the waffle into it. 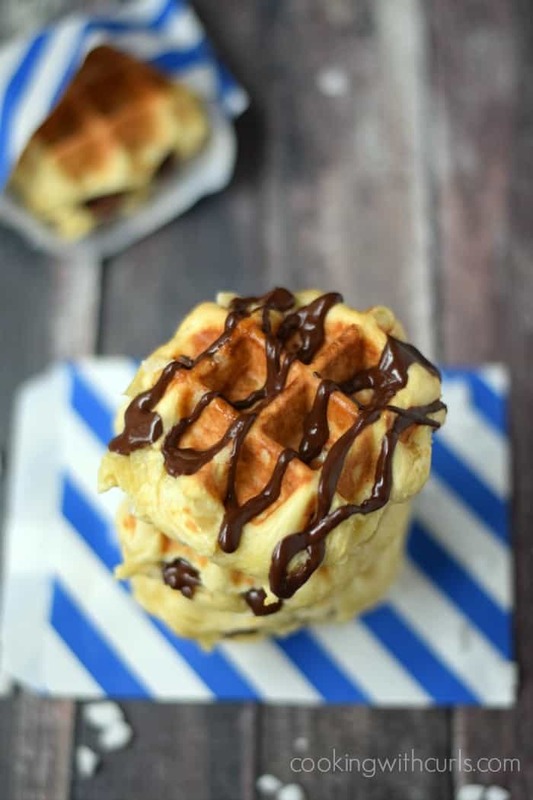 I have Liege waffles on my site, too (albeit, a different recipe), but I LOVE the chocolate idea! I’m making some tomorrow for my aunt and uncle whose daughter lives in Belgium, so I have a tough crowd! 🙂 Thanks for posting!